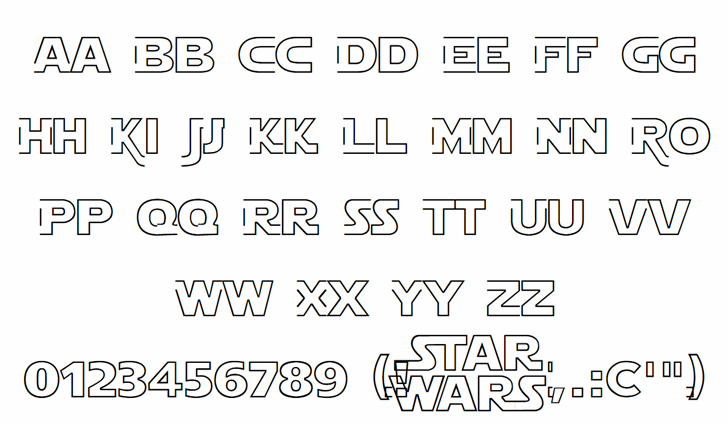 These Star Wars Logo fonts are based upon the official Star Wars logo typeface. Star Jedi is a titling (capitals only) font, with a lot of variations and connections. 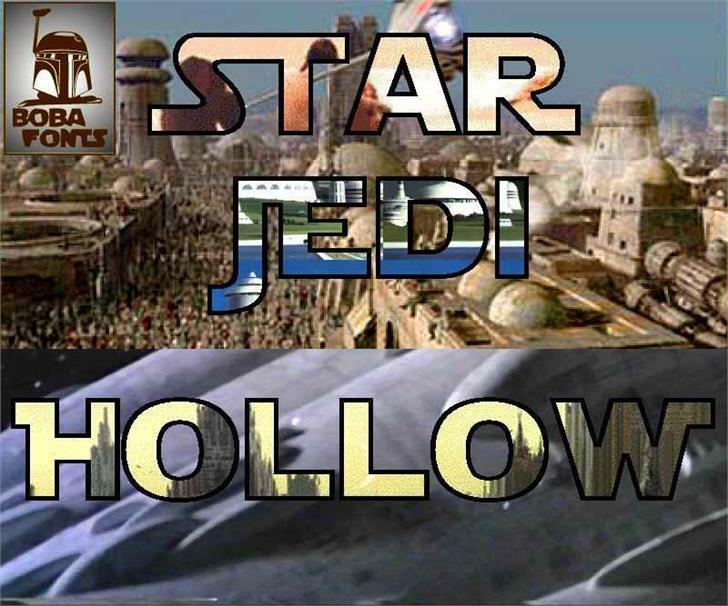 Star Jedi Hollow is the contour version of Star Jedi, but, in order to mantain the capability to create letter groups and connections, it must be quite different. Due to the nature of a closed contour glyph, you can't simply apply closed link-lines or plugs on it without injuring the continuity of the contour. Contours to be linked definitely must be open. The small letters are the hollow version of the small letters in Star Jedi (all caps, sans serif) with a closed contour; the capitals have an open contour, that's totally linkable. 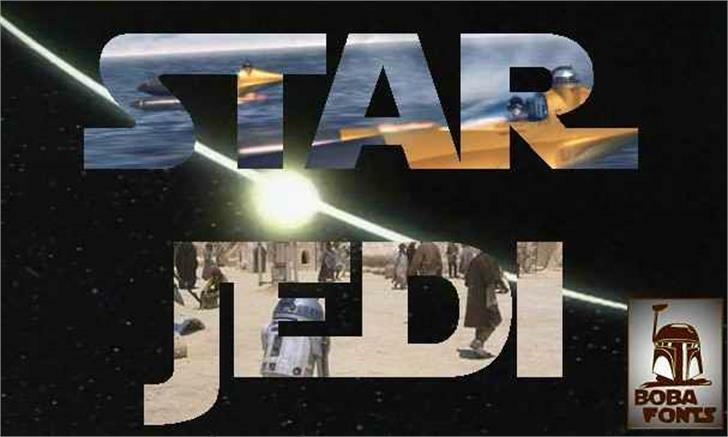 Star Jedi Rounded is a little variant of the main Star Jedi font, not included in the collection: the only difference is a rounded style in some letters. this font is so awesome!!!!!!!!!!!! My son wants a Star Wars birthday. Thank you so much! Need this for all the paper stuff! 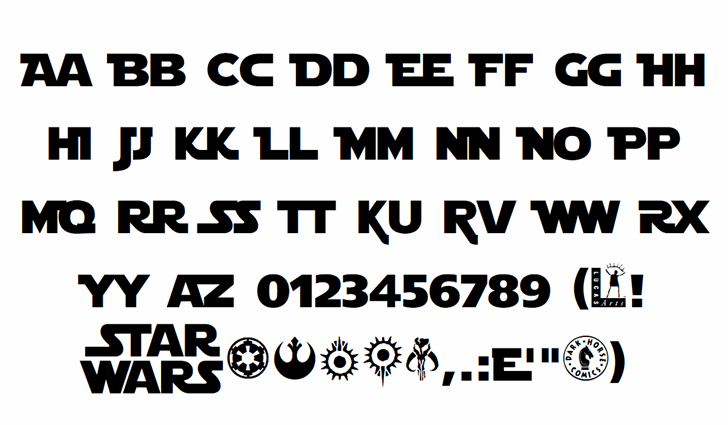 this is the best font in the galaxy, must try and stop the empire getting hold of this font!!! It is annoying as hell that some of the letters show up as other letters. @SareeBearrawr @damkay It's because you are doing uppercase. Do everything lowercase and you will be fine. Figured this out the hard way. The uppercase N and H other letters point different directions so it's actually a good thing to have these letters. I keep getting a serious error warning message with this? I see comments from other who have downloaded it, any reason for the message? Just to confirm, can this font be used as commercial use, used for profit? Why are these fonts made with terrible uppercase character map!? Awfull. If we want normal alphabet characters we are forced to use lowercase. This is a great font thank you for this!